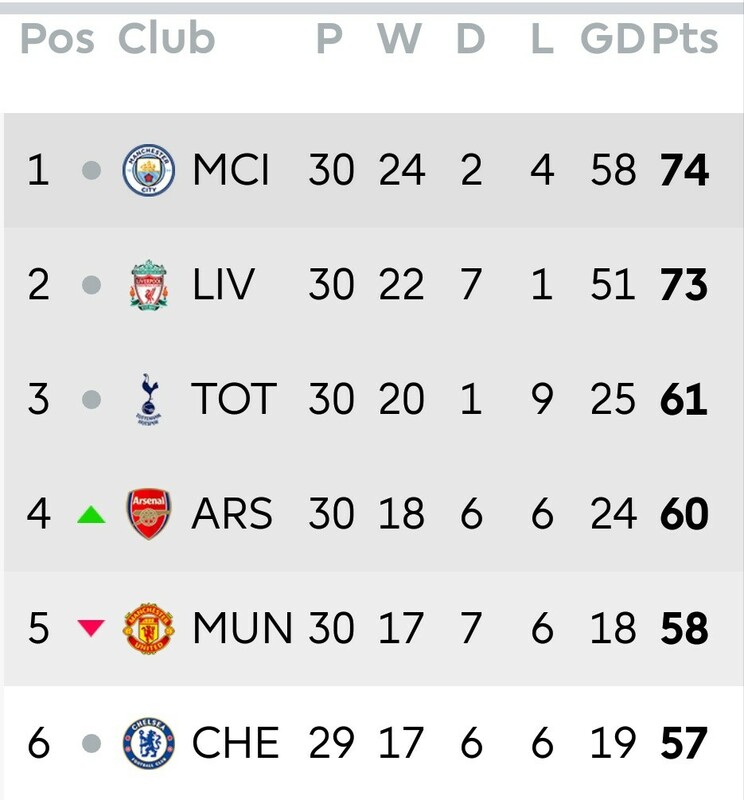 The Premier League table right now looks like the following. If Arsenal, Tottenham, Chelsea and United finish at 3rd, 4th, 5th, 6th position respectively and Chelsea and United win Europa League and Champions League respectively, then do Tottenham crash out of champions league in the next year. As there is direct qualification for cl and el winners in next champions League. a. If the association is entitled to four places in the competition and both titleholders qualify for the UEFA Europa League through their domestic championship, the lowest-placed of the association’s UEFA Champions League representatives is automatically transferred to the UEFA Europa League (into the UEFA Europa League group stage where a vacancy is created). In this case, the association of the titleholders is entitled to one additional place (total of five) in the UEFA Champions League, but the combined number of places to which it is entitled in the two competitions does not change. Not the answer you're looking for? Browse other questions tagged football english-premier-league champions-league or ask your own question.